The Sports Broadcasting Hall of Fame seems to be honoring more big-name on-air people, rather than behind-the-scenes producers and execs. The Sports Broadcasting Hall of Fame announced its 2017 class this week, and it is stacked with recognizable names. Chris Berman — Berman was an original ESPNer and a longtime face of the network, particularly on NFL coverage. The fact that many viewers eventually grew tired of Berman’s schtick doesn’t change the fact he was one of the defining voices of ESPN for more than three decades. Stan Honey — Honey co-founded Sportvision and invented many of the technologies familiar to sports fans today, including the yellow first-down line on football broadcasts and the K-zone on baseball broadcasts. 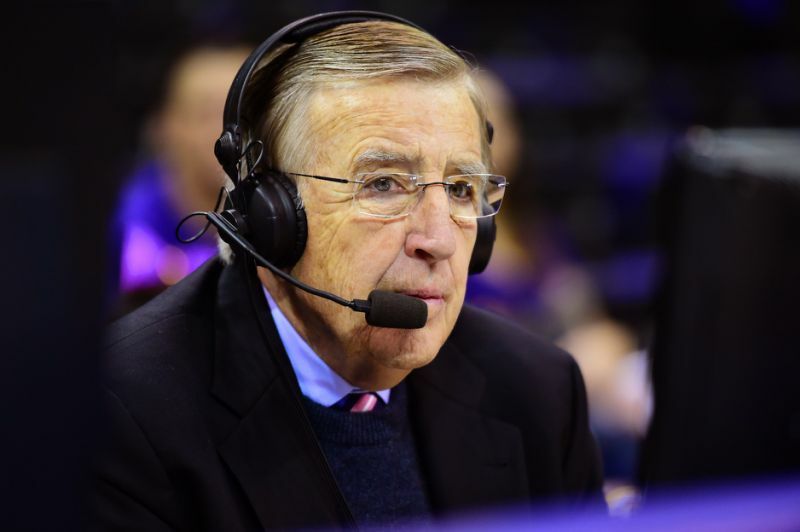 Brent Musburger — Musburger was one of the greatest play-by-play men of his generation, calling the biggest events in just about every sport, mostly for ESPN and ABC. He retired in January. Bill Raftery — Raftery is the rare broadcaster who has gone through his entire decades-long career almost universally beloved. A former college basketball coach, he became one of CBS’ go-to color commentators in the 1980s and has been mixing sharp analysis with memorable catchphrases ever since. Linda Rheinstein — Rheinstein was a pioneer in graphic design and special effects. Bud Selig — Selig, recently inducted into the National Baseball Hall of Fame, spent more than 20 years leading MLB, as it launched MLB Network and MLB.com. Compared to the rest of this class, his qualifications seem flimsy, but the Sports Broadcasting Hall of Fame has always shown a taste for commissioners. Jack Simmons — Simmons, who recently retired from Fox Sports, was an accomplished and influential executive who shaped production at both Fox and NBC. Lesley Visser — Visser was the first female NFL TV analyst and the first woman to win the Pete Rozelle Radio and Television Award from the Pro Football Hall of Fame. Trail-blazing aside, she is simply a legendary writer, reporter and broadcaster. John Walsh — Walsh is one of the most important behind-the-scenes employees in ESPN’s history. For years he one of the leading editorial voices behind the network, website and magazine, shaping the SportsCenter franchise, among other properties. Michael Weisman — Weisman was a longtime NBC and Fox Sports producer who worked numerous World Series games and Super Bowls, while grooming talent on both sides of the camera. Looking at the inductees over the years, it seems the Sports Broadcasting Hall of Fame is looking to honor more big-name on-air people and fewer behind-the-scenes producers and execs, perhaps to drum up more public interest. Last year’s class (featuring Craig Sager, Robin Roberts and Verne Lundquist among others) was one of the most star-studded yet, and this year’s group probably tops it. But as with any Hall of Fame, it’s probably best not to get too invested in who gets in and who doesn’t. The point is to honor this group of broadcasters, all (or most) of whom generally deserve to be honored. The 2017 class will be honored Dec. 12, 2017, at the New York Hilton Midtown.